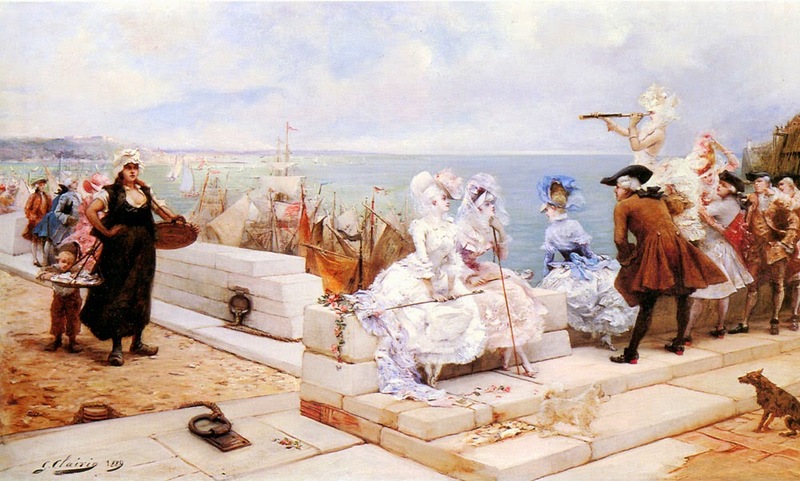 Clairin, Georges Jules Victor (Paris,1843-Belle-Île-en-Mer,1919) was a student of Picot and of Pils. 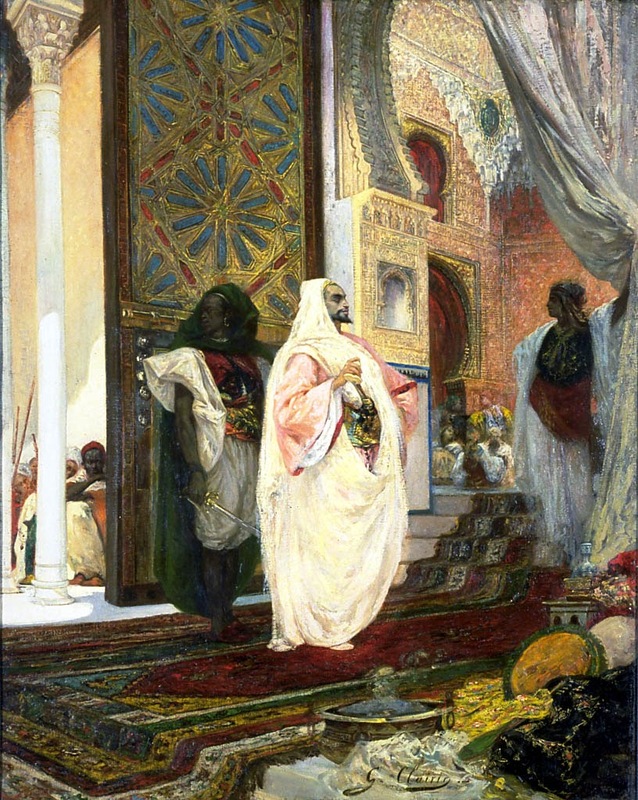 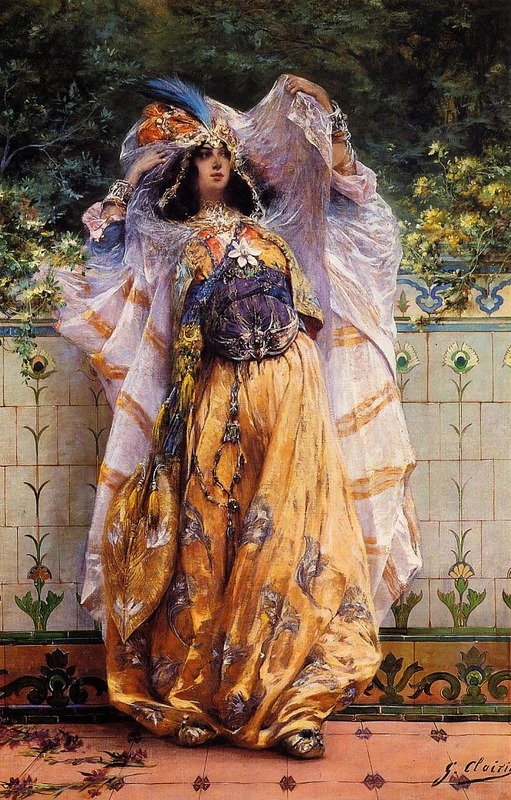 He enrolled at the École des Beaux-Arts in 1861 and began exhibiting at the Salon of 1866. 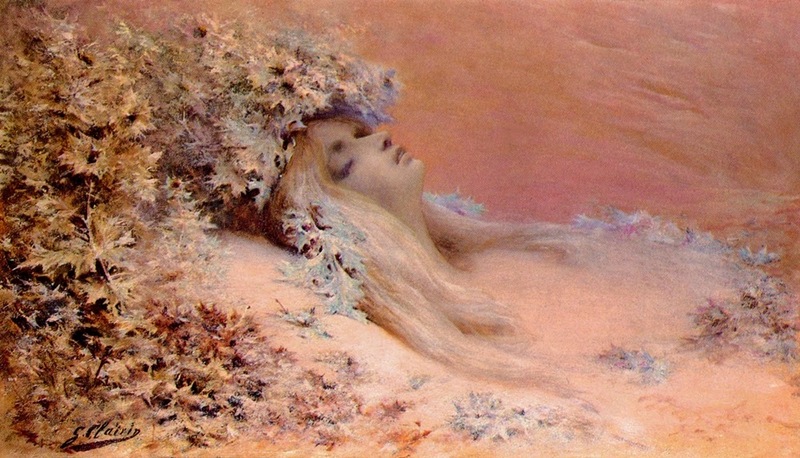 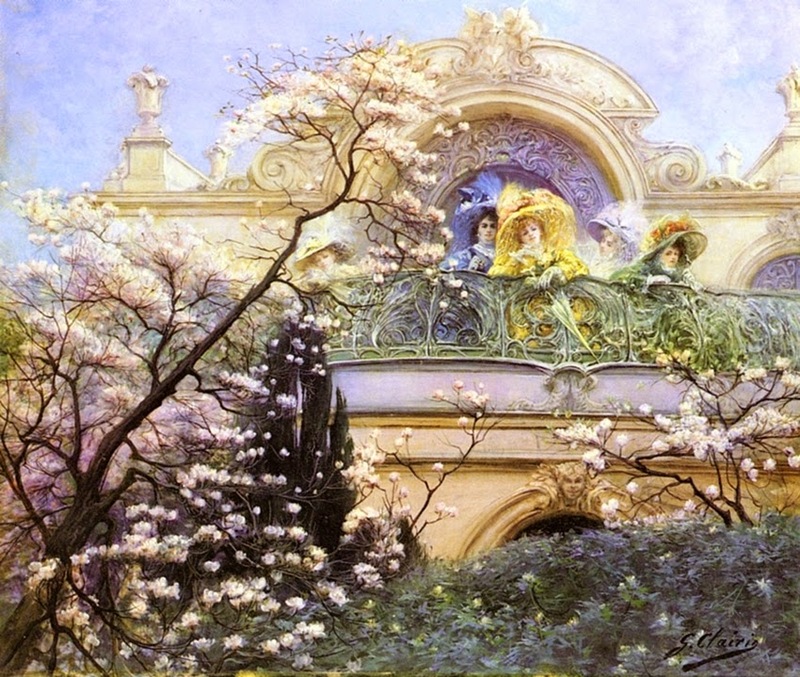 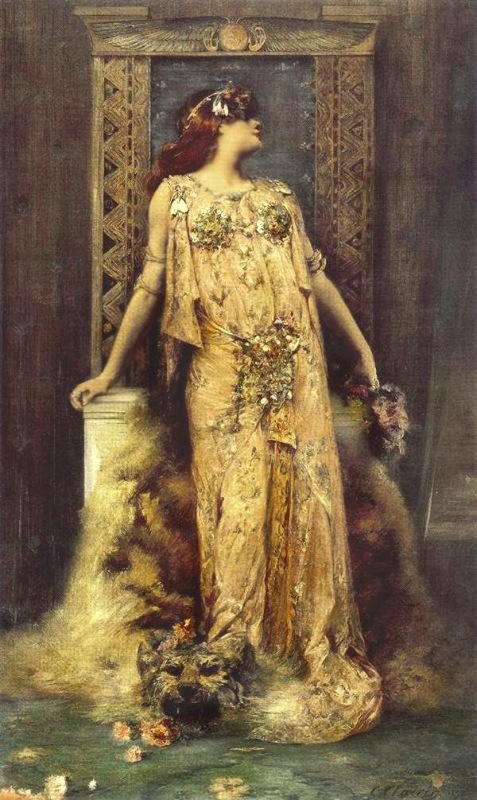 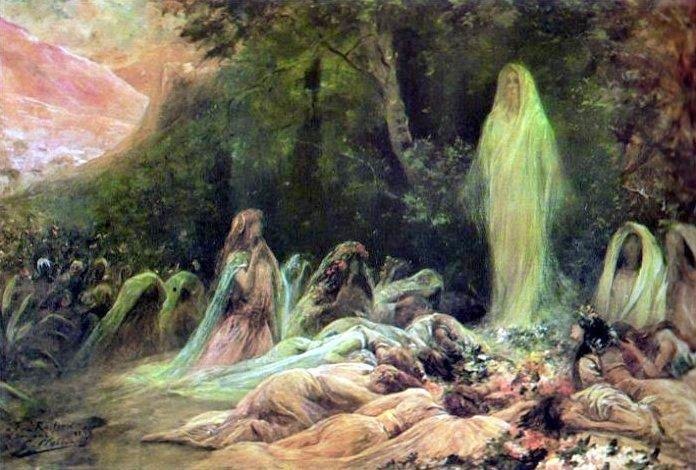 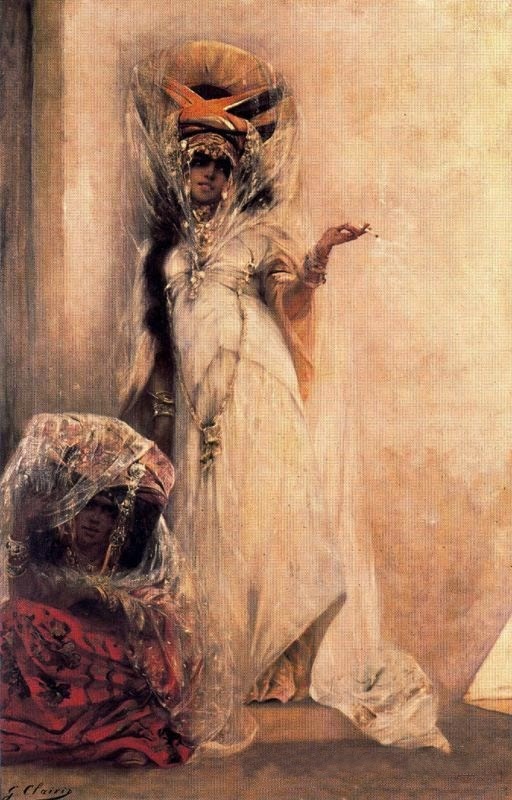 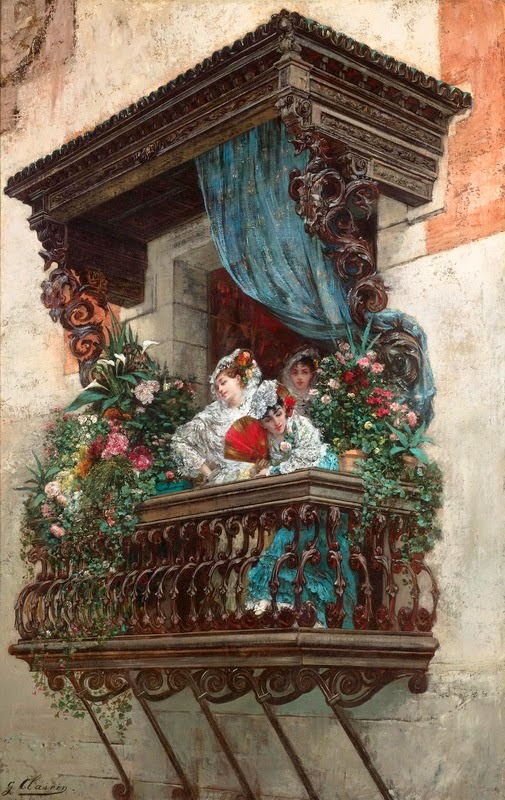 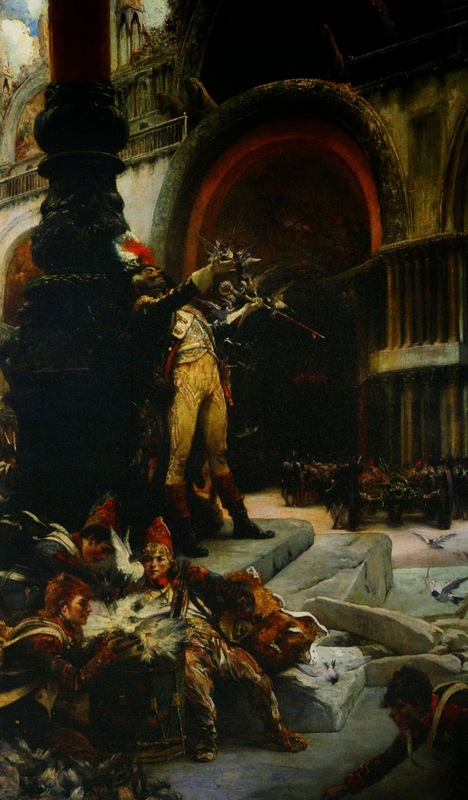 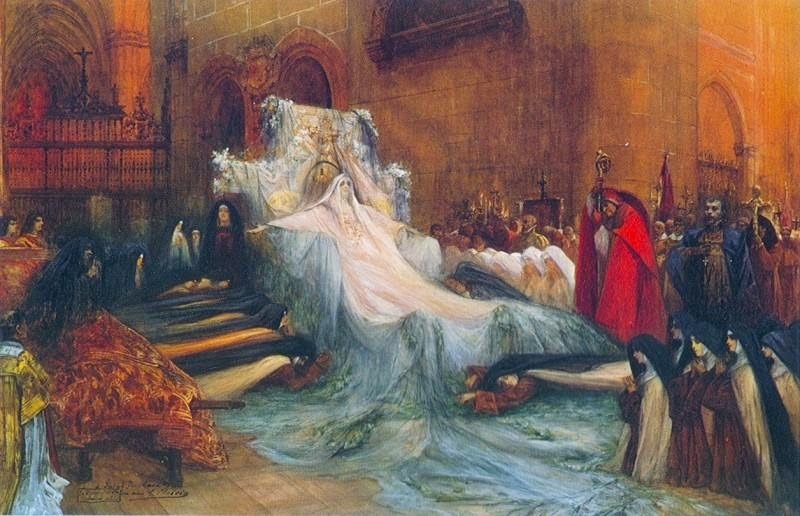 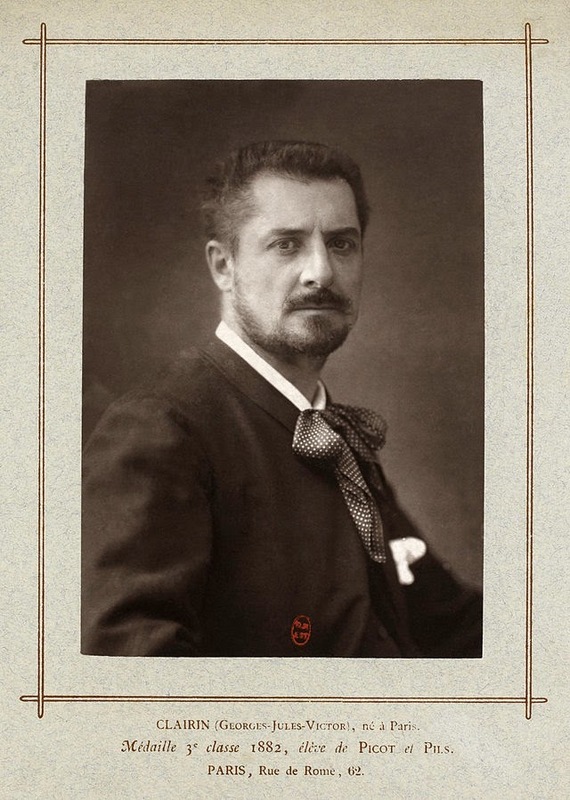 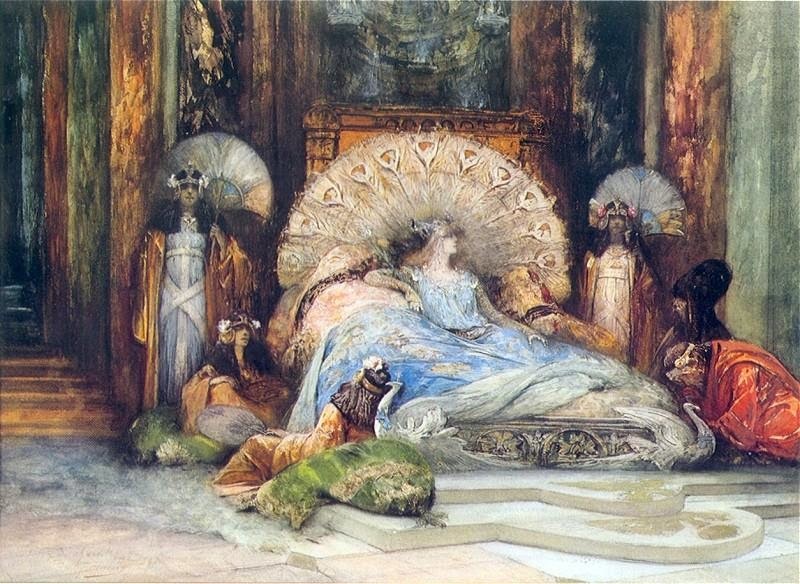 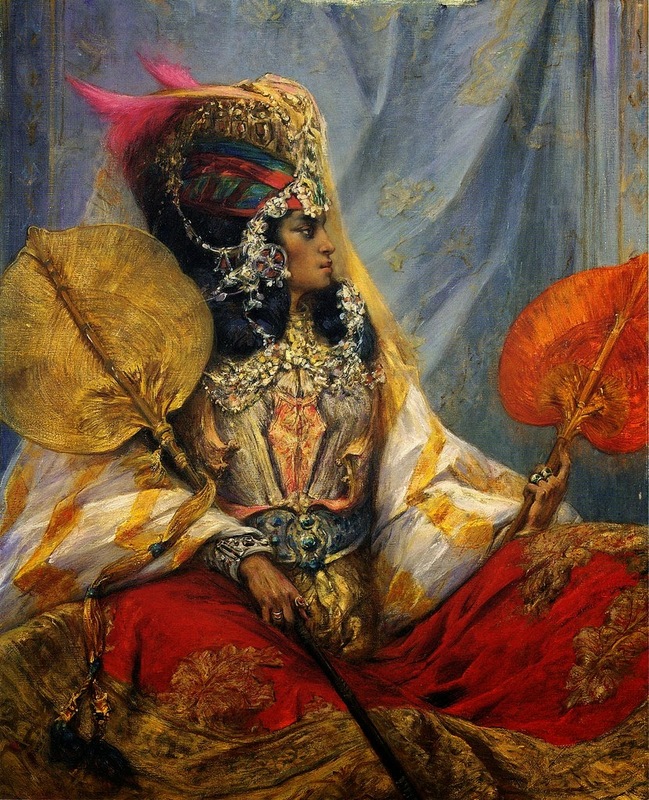 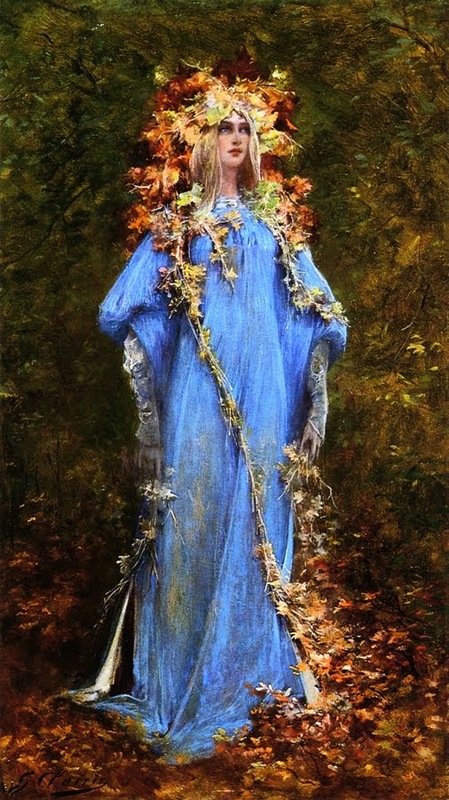 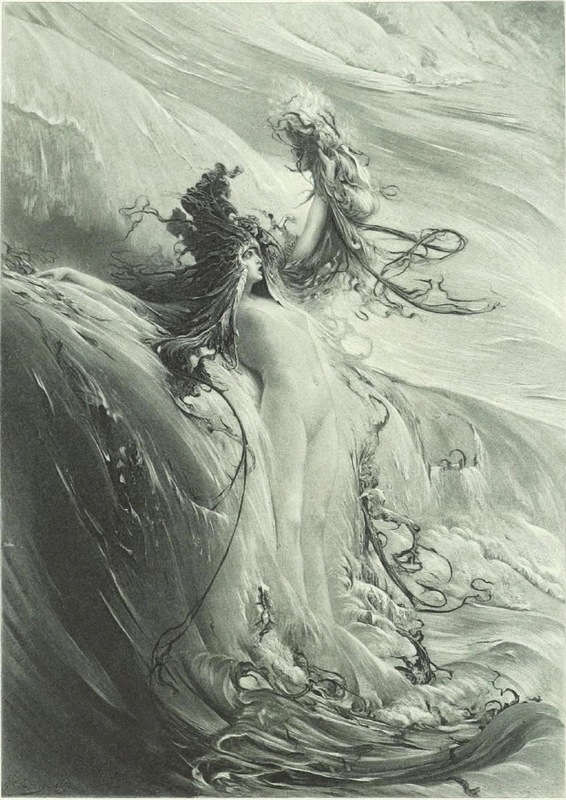 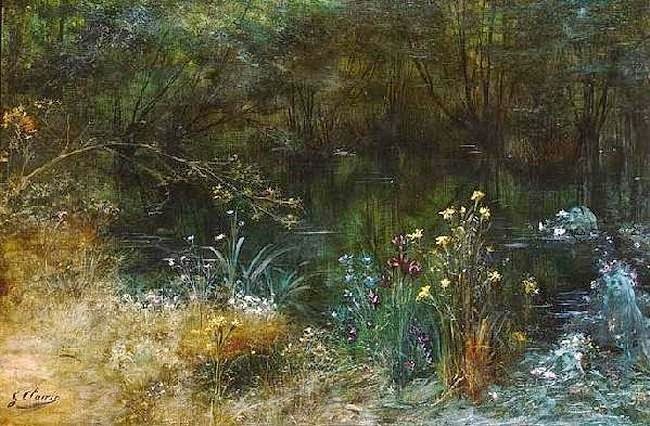 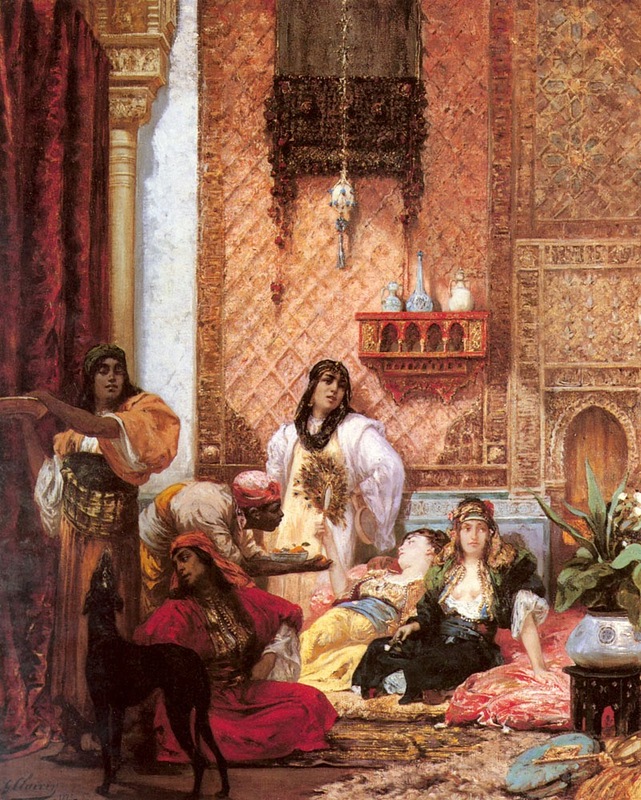 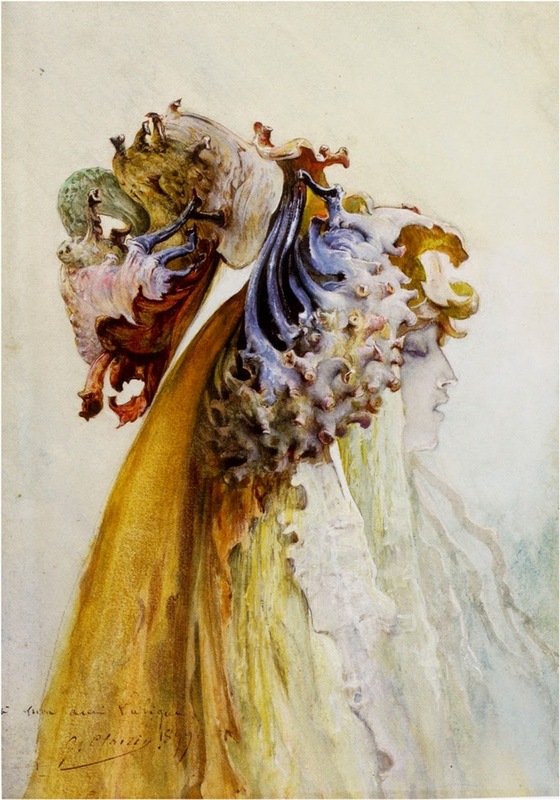 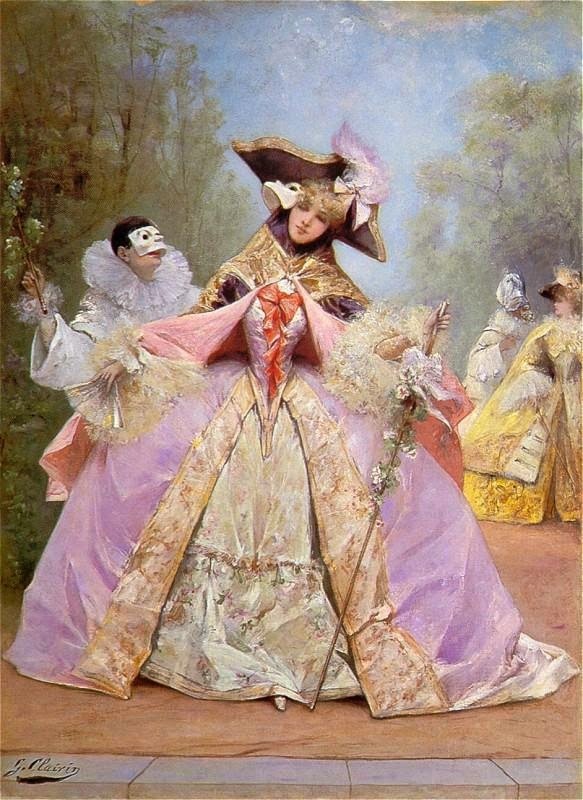 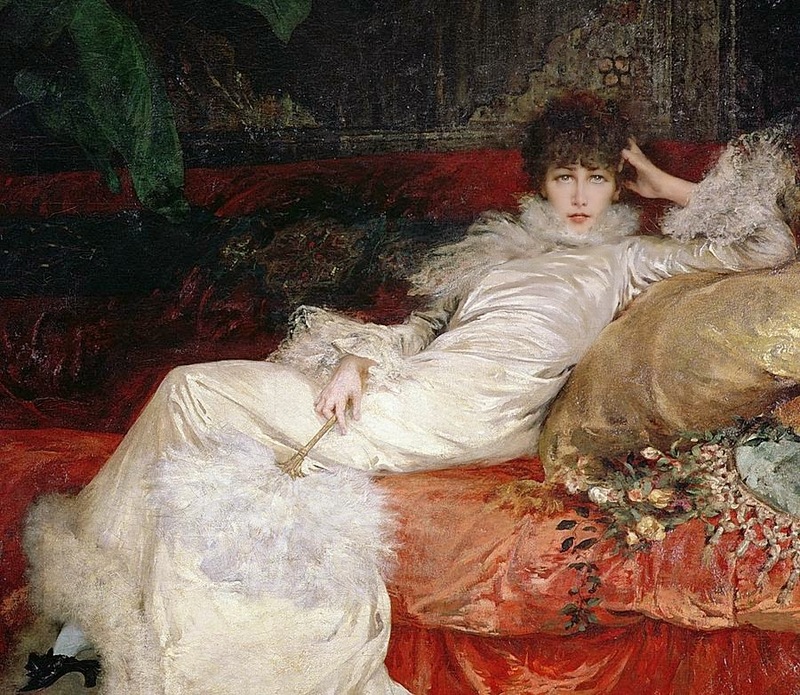 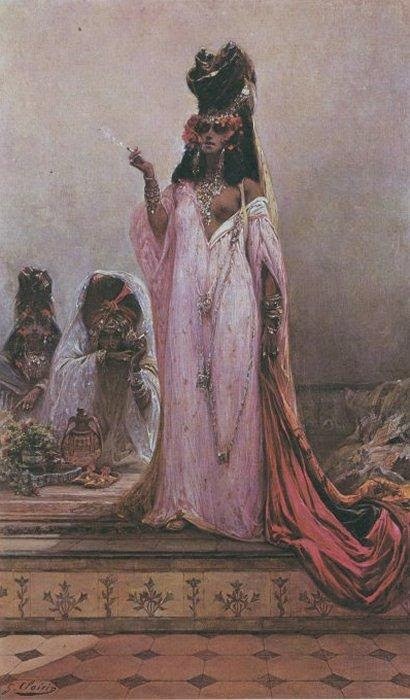 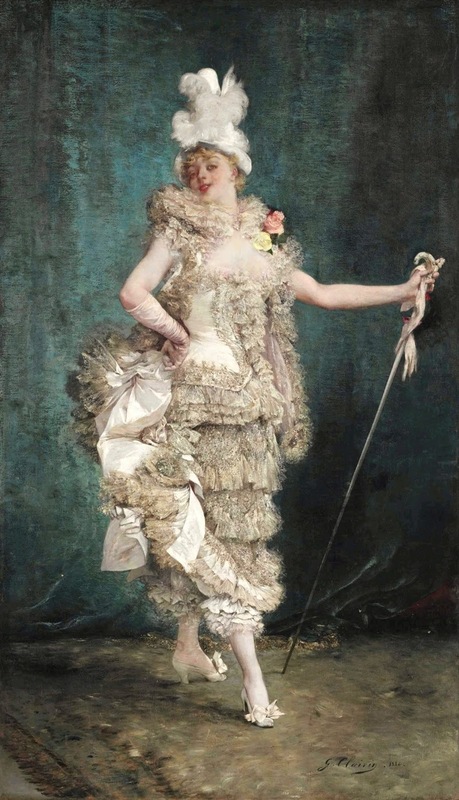 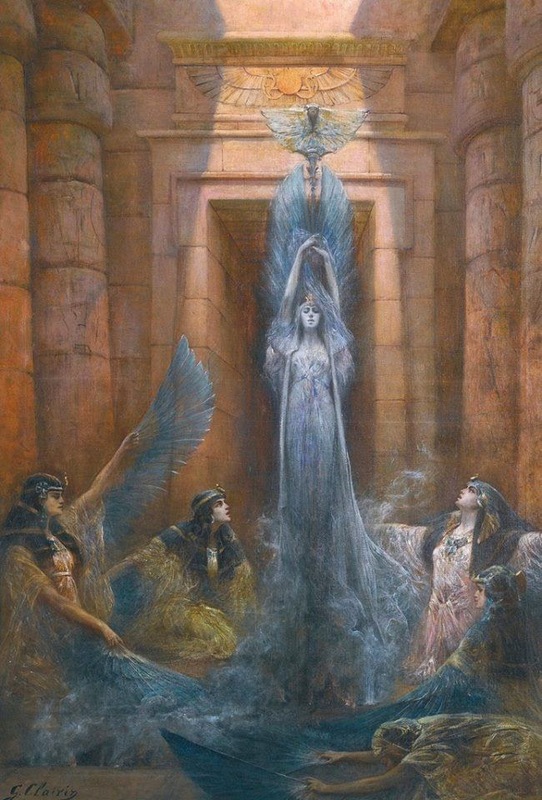 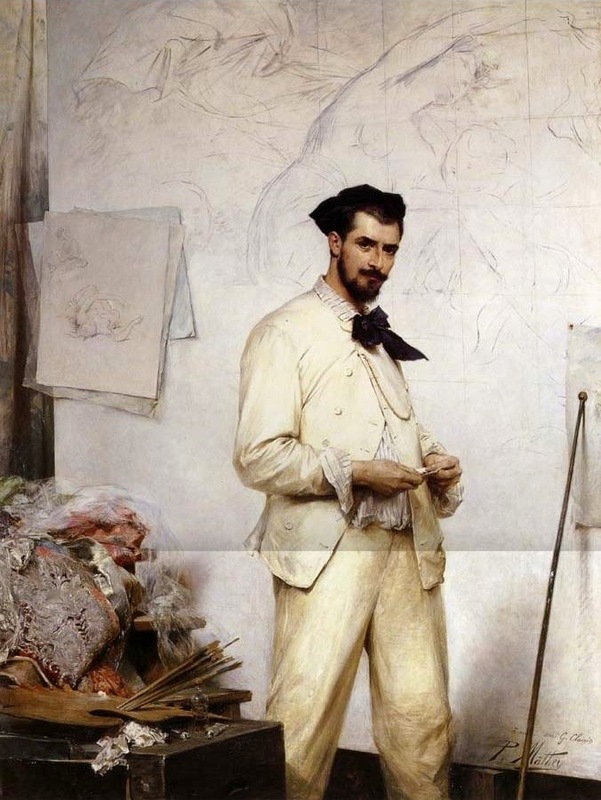 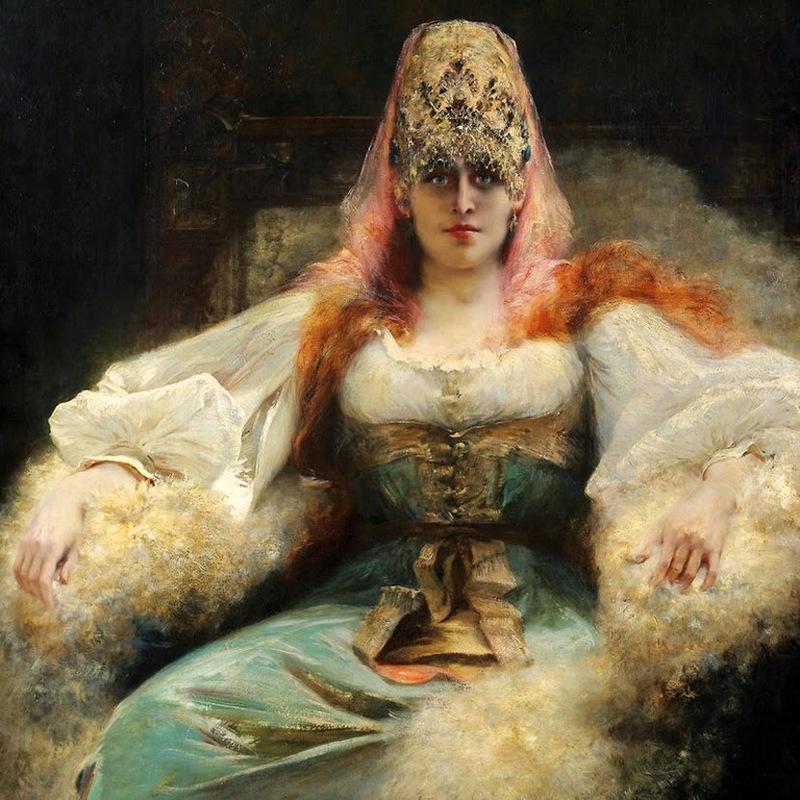 He executed decorative paintings for various public buildings in Paris and in the provinces, but is known primarily for his grand historical compositions, Symbolist themes and for the numerous works he exhibited of and for Sarah Bernhardt. 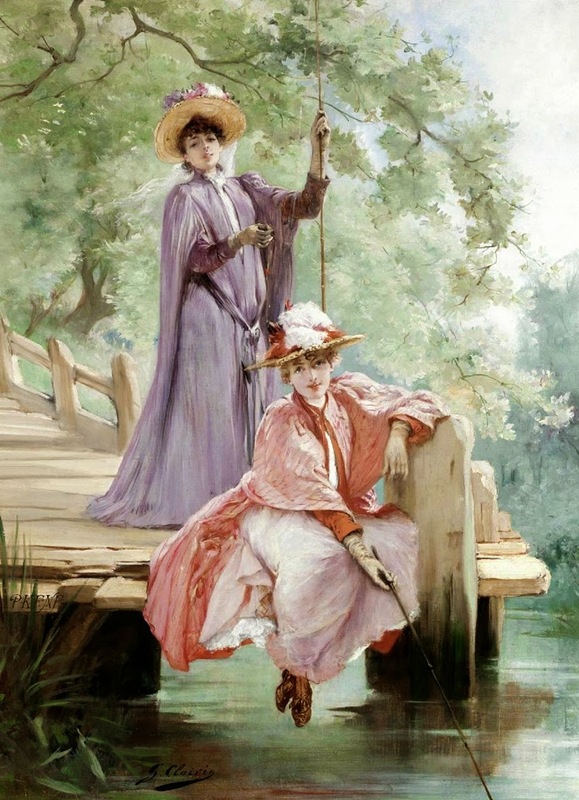 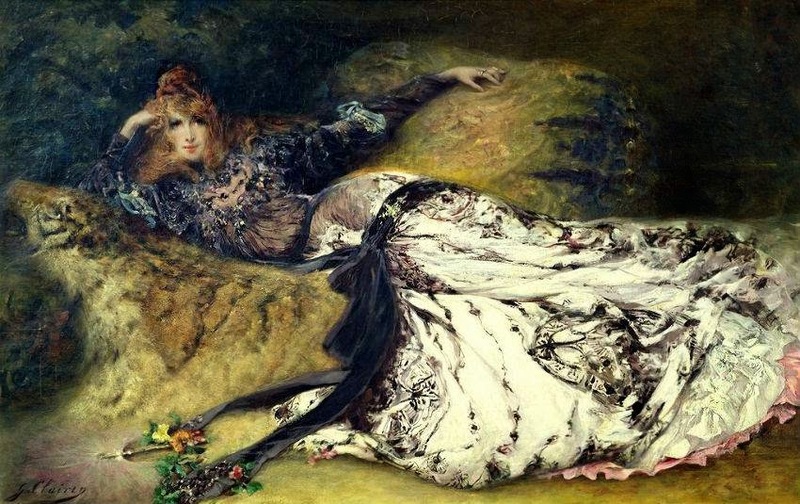 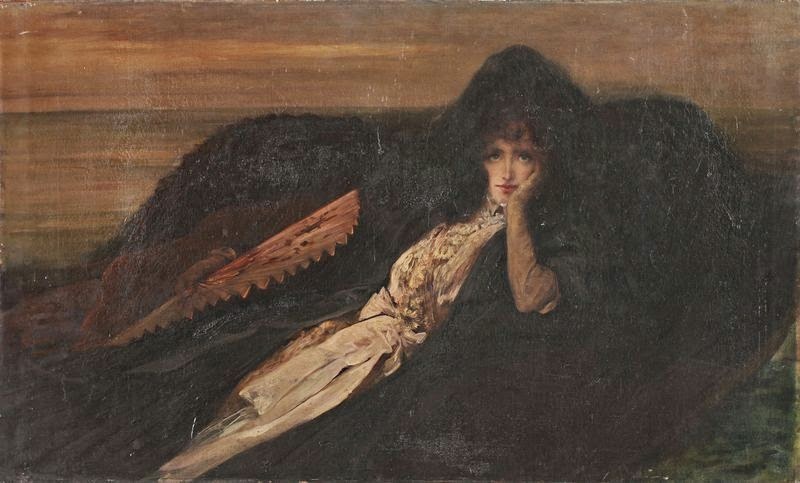 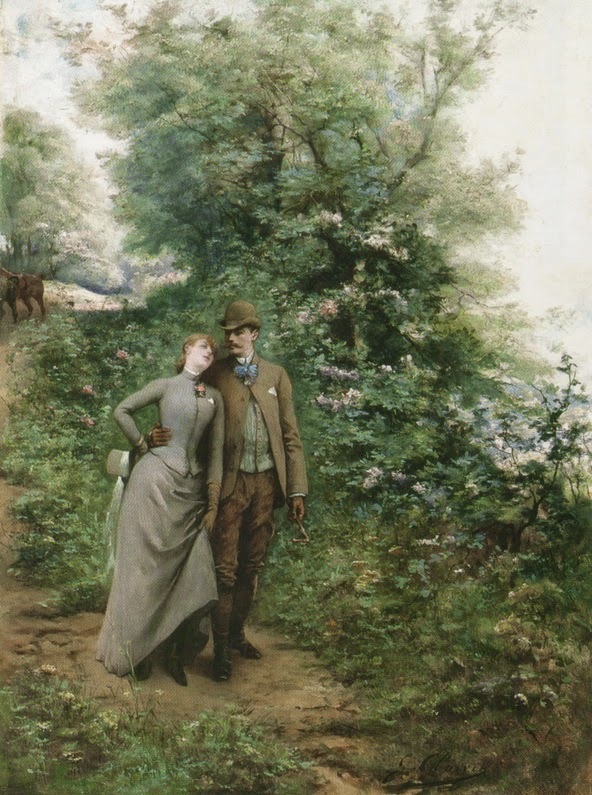 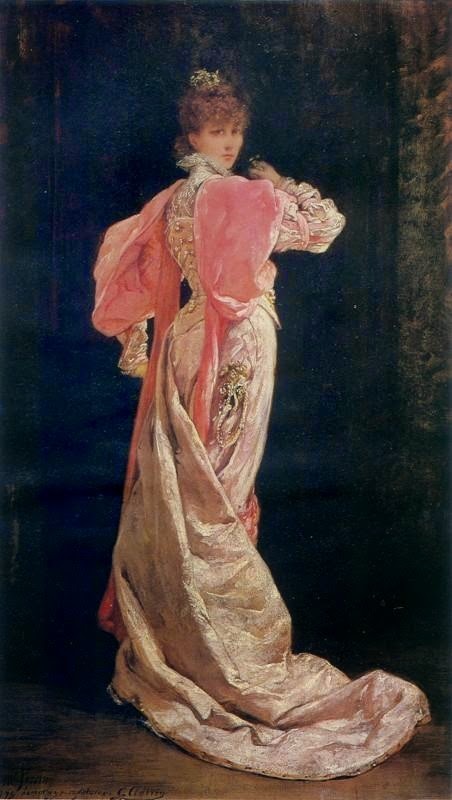 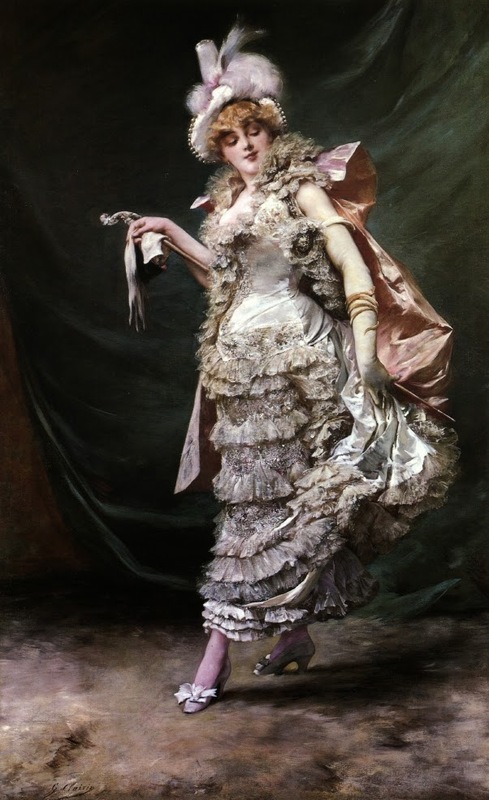 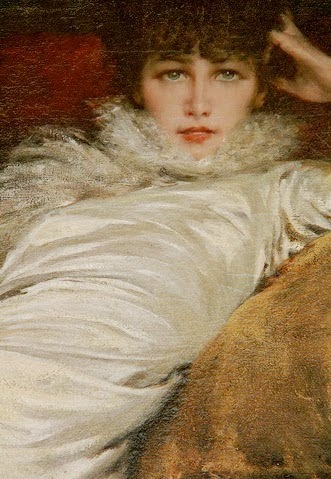 Clairin became the favoured portraitist of the actress, depicting her various roles in almost one hundred paintings, notably that of Ophelia, which Bernhardt brought to the stage in 1886. 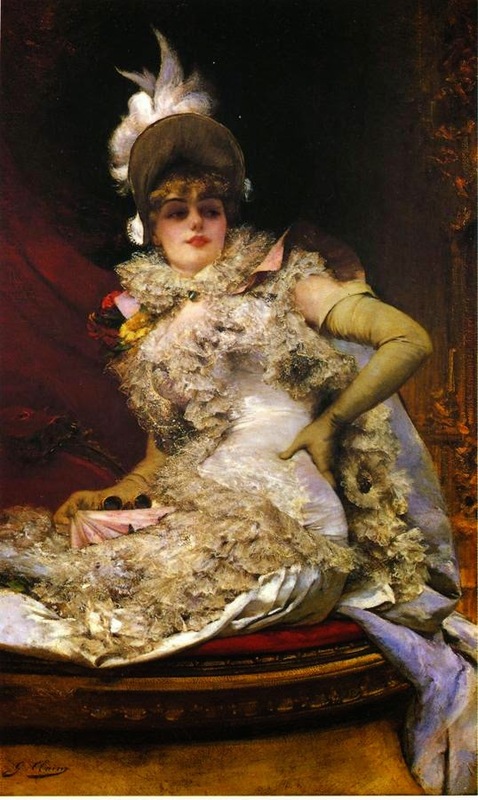 In 1901 an important exhibition at the Galerie Georges Petit was dedicated to Clairin.